Heat Pump Compressor or Reversing Valve? Heat pump reversing valve problems can be easily confused with issues with a compressor. Before you call in a professional, you should know these troubleshooting tips. In many textbooks and owner’s manuals the compressor is often thought of as the “heart” of a heat pump system. While this may be the case, the heat pump reversing valve, also called the heat pump control or expansion valve is the single component that controls whether or the not the system either heats or cools. The Condenser is a system of coils or pipelines that transports the high pressure refrigerant and transfers it from a gas into a liquid. The Evaporator is also a system of coiled pipes that that transports the low pressure refrigerant and transfers it from a liquid into a gas. The Air Handler is the last in the part in the system and is basically a blower fan that moves heated or cooled air into the ducts of the house. The Compressor is a pump-like device that pressurizes refrigerant into a gas so it can absorb heat from the surrounding air. This part is normally housed in the outdoor unit. And as you can see that without this pressurization process the heat pump stops working properly. The Heat Pump Reversing Valve changes the direction of the heat pump from heating to air conditioning and back again. The heat pump reversing valve allows heat to move from the outside unit to inside the house or from inside the house to the outside unit. Without this valve, the system is stuck or frozen and can’t properly switch from one operating mode to the other. And a bad heat pump reversing valve can be very difficult to troubleshoot, especially in mild weather such as in the spring or early fall months. A bad reversing valve shows it true colors during peak times in the winter or summer. Compressors typically either work or they don’t. Because of the stress on their components, bad compressor very quickly burns out and stops working. But a defective heat pump reversing valve can limp along quietly sabotaging the whole system for a long time. A reversing valve gone bad can be stuck in either the “heating only” or “cooling only” mode or they can become frozen at someplace in between either position. 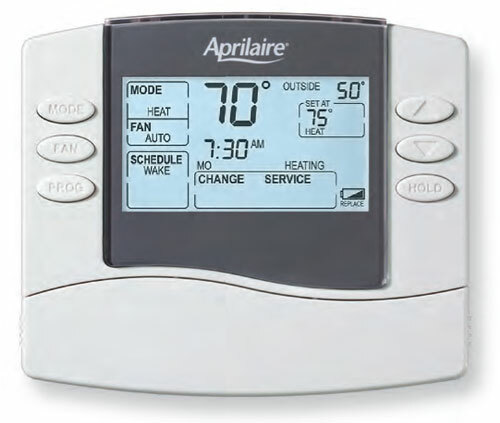 Another common problem is a that a solenoid which part of heat pump control (a secondary valve that works with the main one) either failures or stops working all the way. 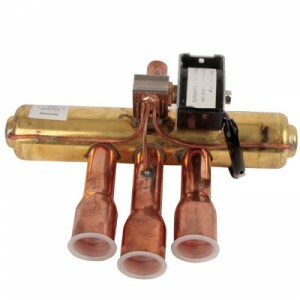 There are few methods that the average home owner can do to replace a heat pump reversing valve. Still some people order parts and attempt to replace a bad valve on their own. 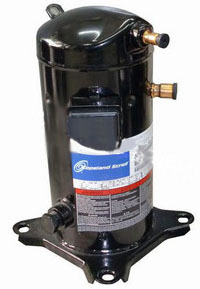 Reinstalling a reversing valve is the most difficult repair in a heat pump system (outside of replacing a compressor). Instead of trying to save a few bucks and burning up a brand new heat pump reversing valve, you should a have a reputable HVAC technician test and replace this unit for you.